Logo for Startups: Choosing a startup’s logo is hard and subjective. Sometimes it can be obvious and flows from the name itself, the place of business, or the product sold. So it was with Shell, now universally known as an oil company, but back in 1891, it was a trading company that specialized in bringing old oriental sea shells to western nations, so naturally the logo chosen was a shell, originally a mussel shell. Choosing a logo for startups can be fun. Steve Jobs had just come back from an apple farm, and thought the name sounded “fun, spirited and not intimidating.” Hence the logo followed the name. The first one in 1976 showed an antique image of Newton under his apple tree. But two years later, there were a number of legal disputes between Apple Corps (owned by The Beatles) and the computer manufacturer over competing trademark rights. It went on till 2007 when Apple (Computer) finally won and settled. So beware! In my case, the company name, Venture Founders, suggested nothing graphic. My place of business is on the Web, so that was no help to me. The purpose of my venture—helping people to start a business or nonprofit—brought nothing visual to my mind. 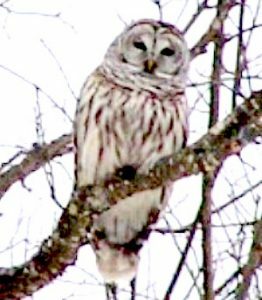 However, one day during a meditation retreat I looked up in a tree and there was an owl staring down at me. It stayed still, blinking slowly, not phased by me as I fumbled for my camera. I was not thinking about logos for startups at the time. Then I remembered that the London investment bank founded by my forbears had an owl as its logo. Choosing a logo for startups was not new in my family. So that was that and I chose the owl. Since I am long in the tooth, the wise old bird became the Venture Founders logo—and hopefully I manifest that. The Venture Founders logo is blue. Before waxing eloquent about what the color of a logo denotes, blue is considered to imply security and integrity. I hope the Venture Founders business does, since choosing logos for startups is so hard. If you want to know more about the psychological significance of colors, Rebecca Gross’s article on the Canva site will really help you in your selection of a logo and its design. Beyond logo design it will help you with the whole question of branding and how color may influence how you convey what you’re about. I hope you think my choice fits those criteria! Your venture should make meaning and logos for startups should reflect that meaning in some way. If your company is called Shepherd, avoid the obvious: a person herding sheep, which may convey an agricultural meaning, when your company is in electronics.